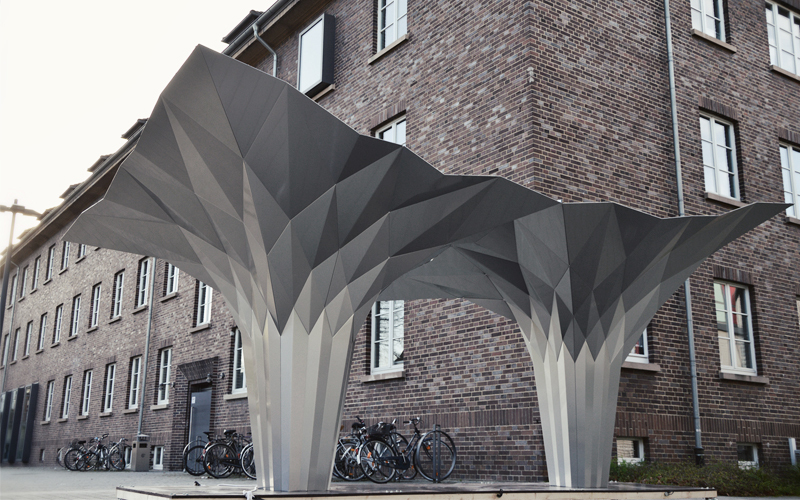 The Masterthesis by Tal Friedman presents a novel approach to the construction of self-supporting thin-shell folded structures. 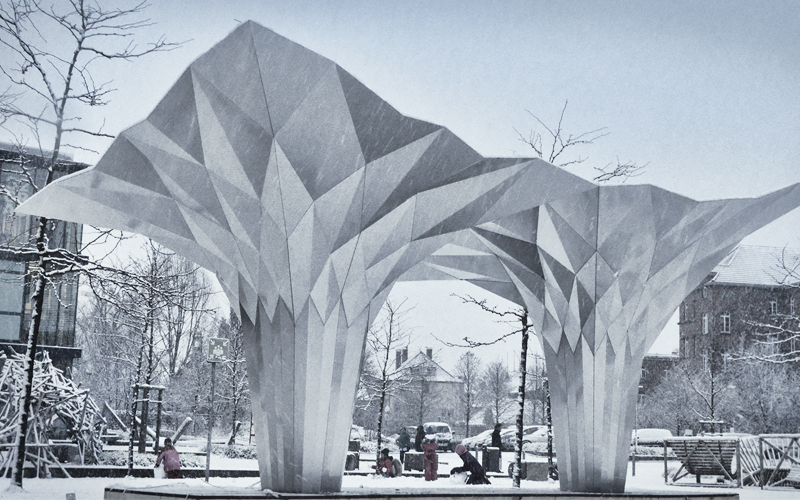 It attempted to take the defining elements of origami folding and implemented them on an architectural scale, creating a full-scale pavilion folded out of composite aluminum boards which were parametrically designed to fold into shape. 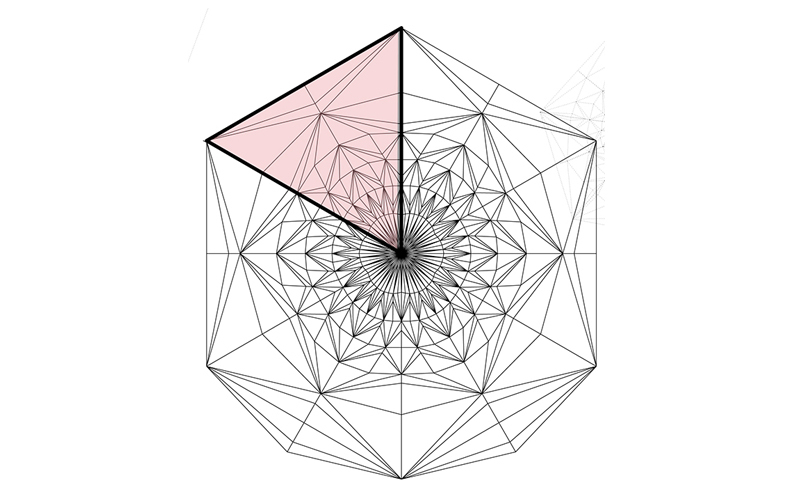 Using these principles, a design was made to approximate the growth of a flower which demonstrates an efficient thin shell self-supporting mechanism. 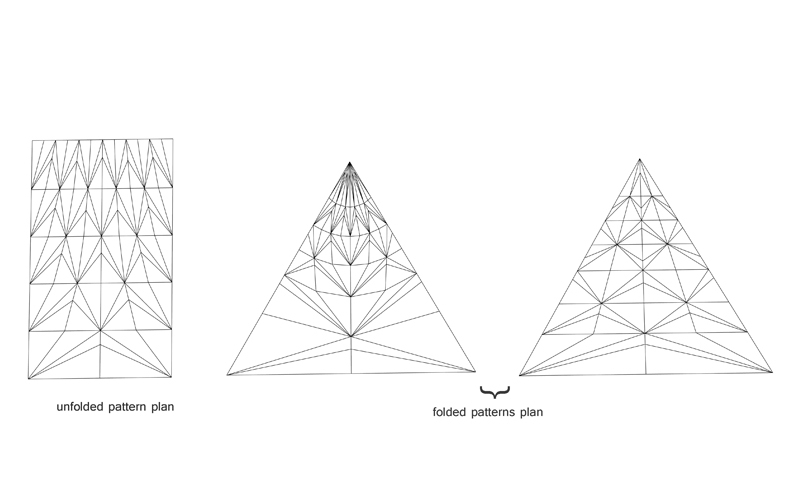 A basic folding variable module was created which could be parametrically manipulated in order to form a seamless pattern. 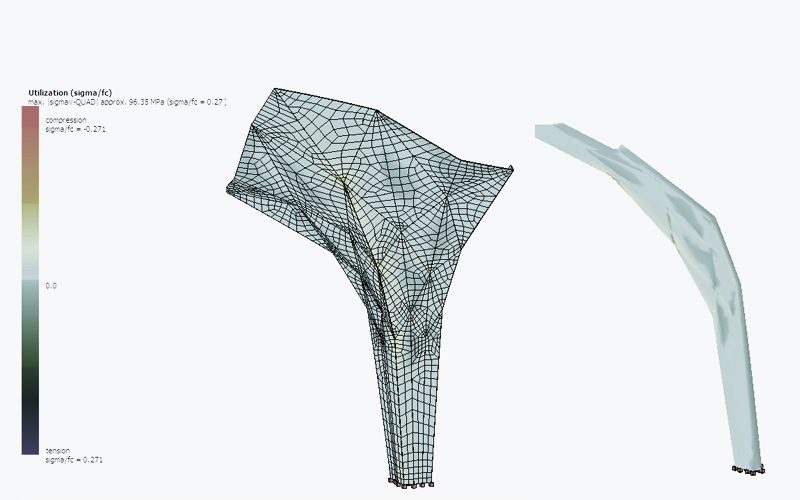 The method included a workflow ranging from the initial design to an FEA approach developed specially for the project, and optimization algorithms for fabrication. 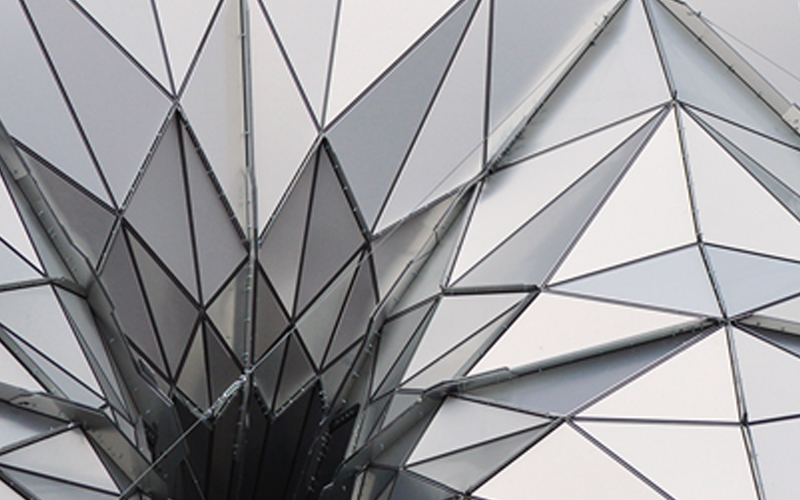 The project was made to resemble origami not only in its structural and aesthetic values but also in its fabrication method, which consisted in folding the sheets rather than individual panels, which latter is the usual practice in architecture today. 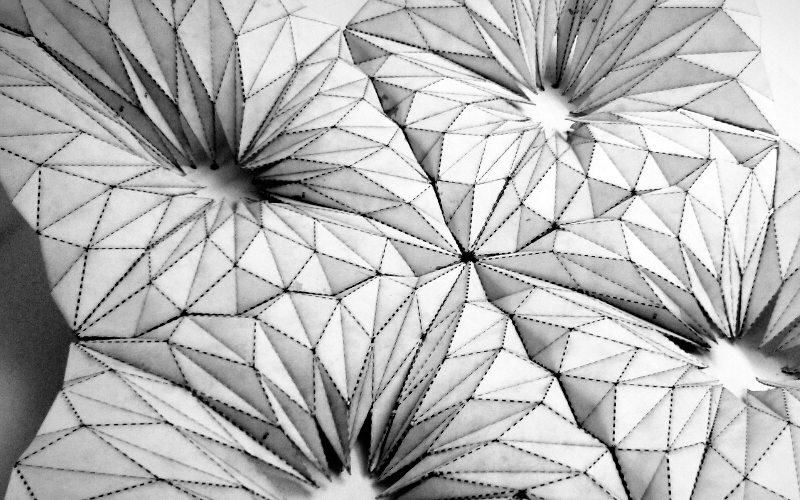 Each flower was made of four unique sections which were folded into position. 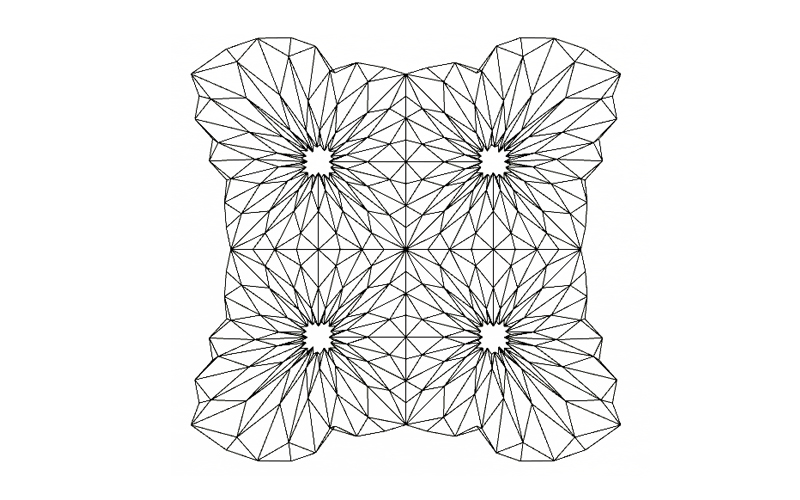 Each folded piece contained around 12-20 interconnected surfaces. This technique saved fabrication time and building tolerance. 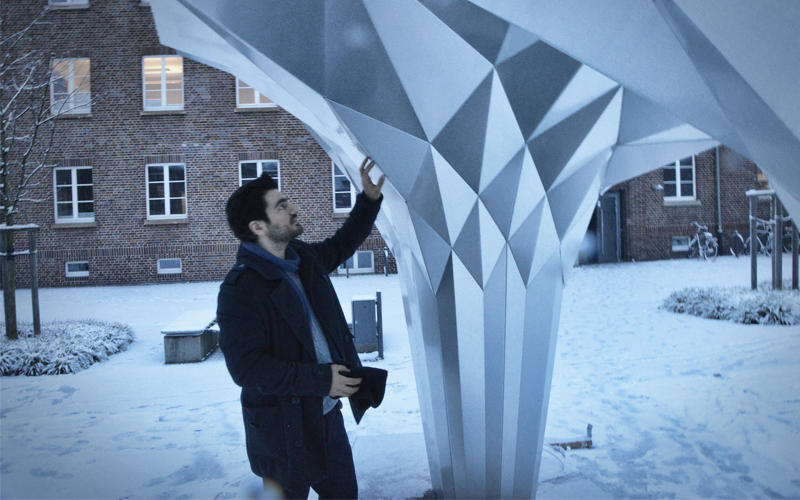 The project provides clear proof of concept modeling: folded structures can be fabricated to full scale while maintaining a self-supported stiffness and stability. 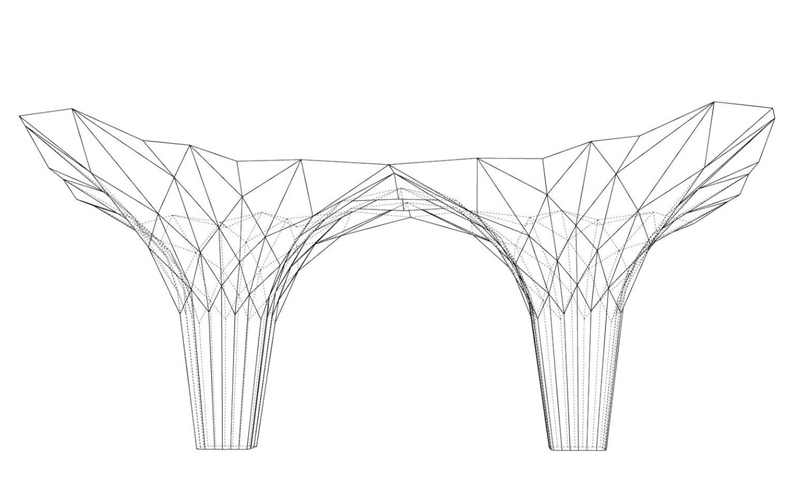 Reducing the need for supporting structural systems leads the way to a new kind of true thin shell lightweight structures made from just one material. Tal Friedman, Marco Hemmerling, Jens-Uwe Schulz, Guido Brand.